Introducing the R2-D2 robe. Made of an ultra-soft fleece fabric, it's comfortable enough to make you feel cozy on the couch, but comes designed with various details to make you look like the little astromech droid. 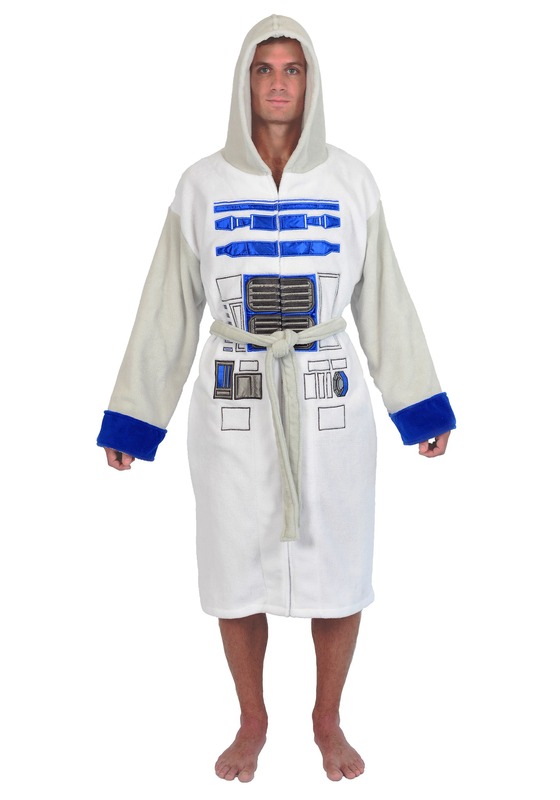 The front has bright blue patches that recreate R2's style and the robe even comes with a belt that you can tie around the waist. Even if you'll just be using it to keep warm while you play the latest Star Wars video game, you'll still feel pretty heroic!